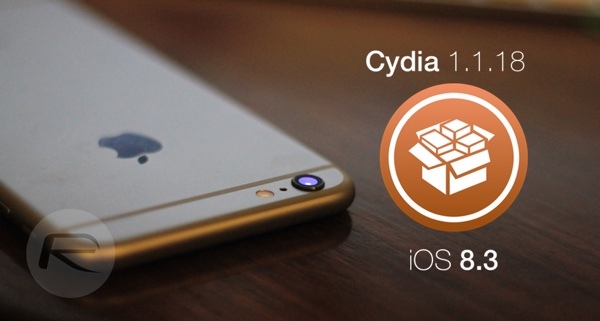 Cydia 1.1.18 For iOS 8.3 Jailbreak Released, Here’s How To Update Now! 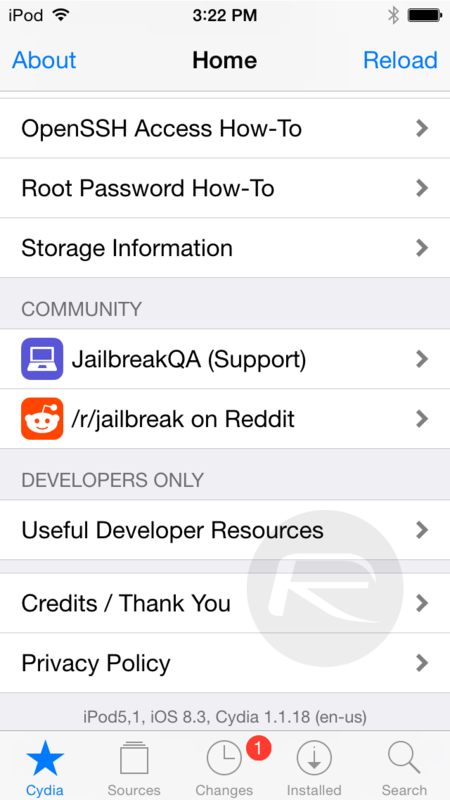 Saurik has just announced an update to Cydia with support for iOS 8.3 jailbroken devices. Now up to version 1.1.18, the new Cydia update fixes “cannot identify your device” error on iOS 8.3 running devices. It is important to note that this isn’t the Cydia Substrate fix that you have been waiting for to run your favorite jailbreak tweaks on iOS 8.3. That according to Saurik is still coming from TaiG team, hopefully soon. You can read more on iOS 8.3 jailbreak and Cydia Substrate compatibility here: Saurik On TaiG iOS 8.3 Jailbreak And Cydia Substrate. On iOS 8.3, Cydia would report that it “cannot identify your device” while trying to access your account. This was due to changes on iOS 8.3 and has been fixed. Recent versions of Cydia have rejected local repository URLs. This was due to an overly-limited filter on acceptable URLs. You can now again use local repositories. A “proactive” fix for iOS 8.3 added in Cydia 1.1.17 caused SpringBoard to lock up if users killed Cydia using the iOS task switcher. This fix is designed to fix an issue that should be present on iOS 8.3, but TaiG’s jailbreak seems to provide a workaround in the form of a kernel patch. This will be investigated for later releases, but in the mean time the fix has been removed. To update to the latest version Cydia 1.1.18 on your device, Simply launch Cydia and wait for it to completely load. Once loaded, tap on Changes tab > Refresh button. Cydia will now prompt you with “Essential Upgrade” message. Tap on ‘Complete Upgrade’ and wait for it to download and install the latest update. Once done, it will automatically respring the device straight into the Lock Screen with updated version of Cydia ready to go. Released only yesterday, TaiG 2.0 jailbreak is currently available for Windows only and is compatible on all iOS devices running either iOS 8.3, iOS 8.2 or iOS 8.1.3. Update: Following the release of Cydia 1.1.17, Saurik released a minor update 1.1.18 to add fix for bug “that would cause SpringBoard to lock up if it was killed by a user with the iOS task switcher.” The post above has been updated to reflect this change. Well…Saurik said that Cydia Subtrate will be updated by Taig Team, and then they said Saurik is going to do that. What is going on ? I am now name decided to just stay stock. Been jailbreaking for years as well. The first few versions of EVERY jailbreak that has ever been released was buggy. That’s why you need to exercise patience and wait a couple of weeks for them to iron out all wrinkles before you Jailbreak. In the meantime, just update your iOS to 8.3 and chill until other members of the jailbreak community, like MuscleNerd say the the jailbreak software is actually ready for prime time. Cydia 1.1.18 is already available and being pushed. weird i don’t see cydia update even after trying to refresh it couple of times. Every jailbreak app I try to load says not compatible with my version of iOS after jail breaking with Taig 2.1.2. Anyone know how to fix this? I already updated Cydia.